When Lake Oswego resident Rob Wagner secured the appointment to replace former state Sen. Richard Devlin last week, his victory capped a months-long campaign to represent Senate District 19 in Salem. But Wagner says there's been no time to catch his breath in the days following that event — in fact, everything seems to have picked up speed. 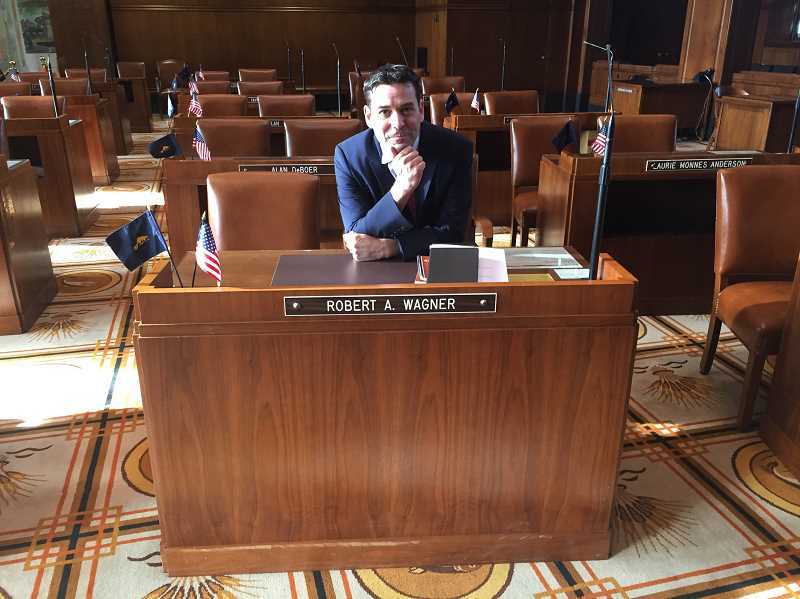 Two days after the appointment, Wagner was sworn in at the Capitol in Salem and immediately assigned to positions on the Senate Judiciary and Human Services committees. Five days after that, he was back on the Senate floor for the start of the 2018 legislative session. The rapid transition left little time for acclimating to life in the Capitol building — Devlin's old office remains largely empty, Wagner says, aside from some basic furniture. 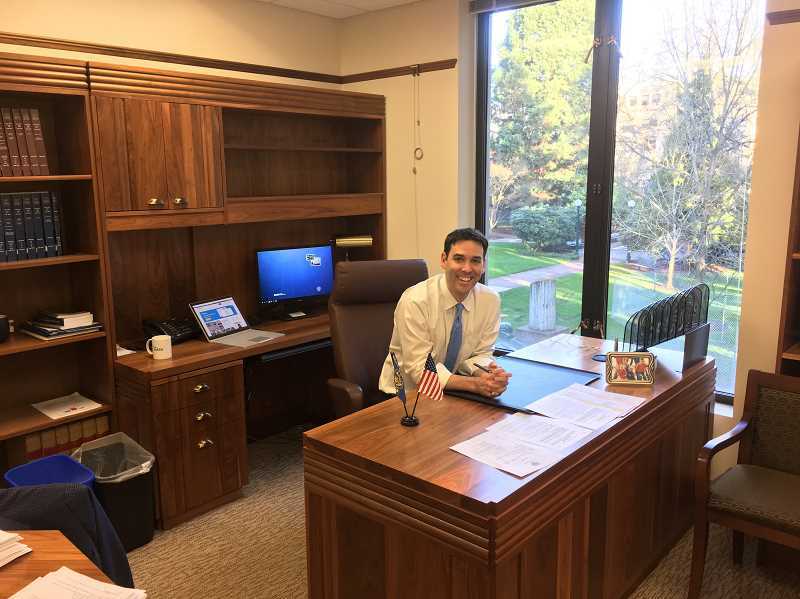 The Lake Oswego resident's appointment marks a return to the Legislature after several years away. The bulk of his prior experience comes from almost a decade spent as the legislative director for the American Federation of Teachers (Oregon), but in recent years he also lobbied for Portland Community College. In a statement welcoming Wagner to the Legislature last week, Senate President Peter Courtney said "he knows the players," but Wagner says his time away has left him feeling somewhat fresh-faced because of the large number of new lawmakers who took office while he was away, especially in the House. "I get to start fresh," he says, "and come in as my own person and build relationships on mutually shared terms." Though he certainly has his own list of priorities for Senate District 19 and Oregon overall, Wagner says he's well aware that he's jumping onto a moving train; the 2018 legislative session is already underway, and Democrats have just one month to try to implement a long and ambitious agenda. Democrats' plan for the short session is headlined by the Clean Energy Jobs bill, Oregon's proposed version of cap-and-trade legislation that would create a carbon emissions market. Wagner says he made environmental protection a major part of his campaign and is eager to jump in on the bill. "I'm very bullish on clean-energy jobs," he says. Wagner says some of his other high priorities will include gun safety legislation and work on the proposed Southwest Corridor MAX line that would run from downtown Portland to Bridgeport Village via I-5 or Barbur Boulevard. The highest priority, he says, will be ensuring that the line doesn't inadvertently displace nearby residents by causing a spike in property values near the stations. Wagner says he became involved in early discussions about the line through his former role at PCC (he left the job in mid-December) because part of the planning focused on ways to connect the line to the Sylvania campus. The line is one of many alternative transit modes that Wagner says he wants his Senate district to develop, although he's not opposed to employing more conventional methods of transporation as well, including a proposal to widen I-205. "Talk to anyone in West Linn," he says, "about what it's like to sit on 205." The potential introduction of freeway tolls is another big transportation topic in Oregon, but Wagner says he's a little more cautious on that subject and wants to see the results of an ongoing study first. "I'm open to the idea," he says. "I'm just really worried about what the impacts are on certain communities." Though not currently a member, Wagner also says he strongly supports the work of the Senate Education Committee, which he says will hopefully "drive the conversation" and spur targeted investments in education. "We know how to do this, to a large degree," he says. "We're just short-resourced." Education has always been at the heart of Wagner's career, and he made it the centerpiece of his campaign for the SD19 appointment. In addition to his past roles at the AFT and PCC, he currently serves on the Lake Oswego School Board — his first elected position. "You just feel like it's time to step off the sideline a little bit," Wagner says of the decision to run for the board. He's currently less than a year into his four-year term and says he intends to continue serving on the board in addition to his new role in the Legislature, with the expectation that the two positions can inform one another. "Being on the School Board really helps inform the work in the state Legislature," he says. "It really roots you in the community. I think the issues our schools and students face are common." Given the relative affluence of the community, the Lake Oswego School District may not be a perfect microcosm of Oregon's schools overall, but Wagner says it still faces challenges, including budget concerns. Another common element: The LOSD has been struggling to respond to a rise in racist incidents on school campuses, which mirrors a growing trend statewide. "The state Legislature should be doing the same thing," he says. That's one of the issues he intends to push as a senator, he says, although there are challenges involved in figuring out how to apply district-level principles to statewide policy. At the local level, equity issues can often stem from logistical questions, he says — for example, if parent-teacher conferences are all scheduled during working hours, is that fair to parents who don't have job flexibility? But it also means taking on more difficult topics, like acknowledging the historic role of racism in shaping Oregon and Lake Oswego as we know them today, he says. "We're having conversations in Lake Oswego that we've never had before," he says. At the state level, Wagner says he'll try to maintain the equity focus by making an effort to engage with all of the groups directly or indirectly affected by policies. But he says he'll also be mindful of the fact that he's now one senator out of 30, instead of one board member out of five. "You really need to be able to work in a coalition to pass good legislation," he says. Wagner, 45, says he's felt a strong pull toward civic service ever since he was in high school, and cites his time on the speech and debate team as well as his parents' activity on local advisory boards and PTAs as initial inspirations. His early career included work as a legislative aide in Oregon, followed by three years spent in Washington, D.C. — first at the National League of Cities and then as part of an education advocacy group called DC VOICE. After returning to Oregon in 2001, Wagner became the AFT's director of political and legislative affairs and remained in that role until he was hired by PCC in 2012 to serve as the college's government relations director. Two years later, he was promoted to become the school's associate vice president for college advancement, overseeing the PCC Foundation, Communications, Public Relations, Marketing and Government Relations offices. He continued to serve in that role until December 2017. Wagner characterizes his departure from PCC as "a little bit of a gamble," since he was still in the middle of the race for the Senate appointment, but he says he enjoyed his time at PCC and was able to go out on a high note. The decision to step down was partially to avoid potential conflicts of interest, he says, but it was also about making sure that he'd have enough time for his Senate role. He says he plans to stay focused on the Legislature for the first year before seeking out a new job after the longer session in 2019. "This is a really big commitment," he says of the Senate appointment. "Something had to give." Looking back at his campaign for the appointment, Wagner says he expected that the process would focus on how he presented himself, but it ended up becoming more of a learning experience. "It quickly became about me listening to the concerns of everyone in the district," he says. "There's no one thing — it's a thousand one things." Wagner's appointment lasts through the end of Devlin's current term, which expires at the end of 2018. He says he intends to run for a full term in the November election, but even if he does get to stick around, one thing will have to change: As a freshman lawmaker, he only gets to keep Devlin's corner office until the end of the year.